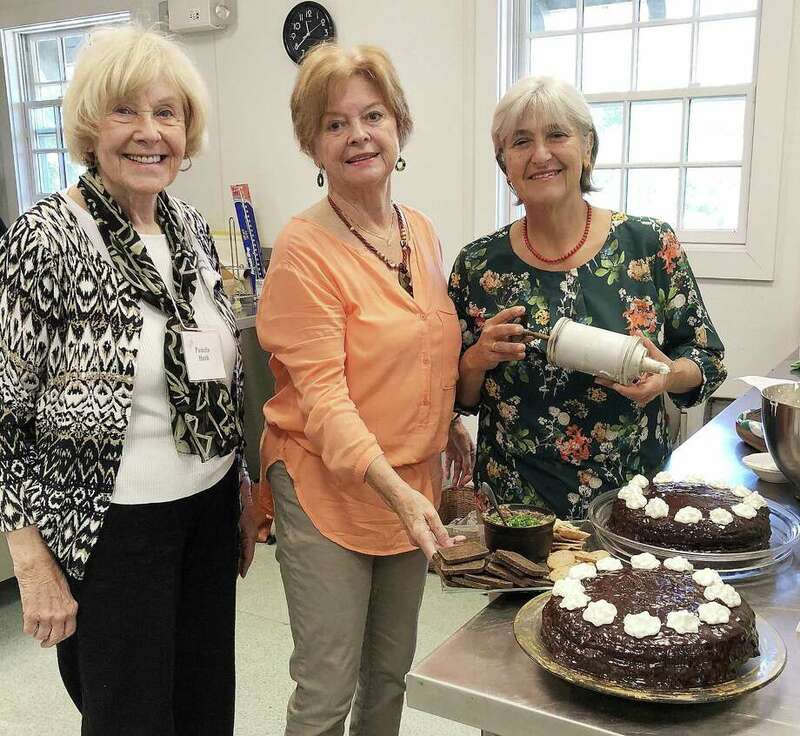 Pamela Huth, left, Ruth Morgan and Liz Orteig, members of the Eating and Tasting Society of the Encore Club of New Canaan, prepare sachertortes for their monthly luncheon. At Gettysburg College, students use the opportunity to study globally to pursue diverse paths in multiple areas of study. One New Canaan native took advantage to study abroad for the fall semester. Shelby Overacker, a organization and management studies major, studied in Italy. The University at Albany congratulated Colin Daniels, from New Canaan, on being named to the fall dean’s list. Students named to the dean’s list earned at least a 3.5 grade-point average. The University of Wisconsin-Madison recognized seven New Canaan natives named to the dean’s list for the fall semester of the 2017-18 academic year. Haley Anderson, from the School of Human Ecology, Michelle Halpert, from the College of Engineering, and Christopher Harte, from the College of Engineering, were named to the dean’s honor list. Nicole Dolby, of New Canaan, is a member of the class of 2018 and is majoring in psychology and special education. She was named to the Marist College dean’s list for the fall semester. Do you like meeting new people or trying new activities? Are you looking for a book group or a friendly bridge game? The Encore Club of New Canaan may be just the thing for you. Founded more than 30 years ago as a women’s social organization with fun and friendship in mind, Encore Club continues to this day, offering a variety of activities and events throughout the year. Encore’s annual Holiday Social at Woodway Country Club in Darien was a big success with more than 70 guests attending the festive cocktail party. February means that love is in the air. On Feb. 13, the Encore Expo group will be heading to Chocolate Works in Darien for a “sweet” hands-on chocolate making experience, molding and decorating candy creations — just in time for Valentine’s Day. The Encore winter luncheon is scheduled for Feb. 27 at the Roger Sherman Inn, where guest speaker, Julie Pryor, founder of Pryority Wellness, will discuss “Priority You,” and share simple steps for moving to a more balanced, healthy life in mind, body and spirit. Learn more about Encore Club activities, events and membership by visiting encoreclubofnewcanaan.org. This donation is in addition to the Stewart’s Market policy of a 5-cent discount for each reusable bag used by customers. Any reusable bag may be used for the donation and discount. Stewart’s Market sells a variety of their own bags, including an insulated bag, and customers can use their T-Bill points toward the purchase of bags. St. Luke’s School seniors Meg Adams, Brendan Casey, Bridget Dalton, Emma Duryea, Chloe Kekedjian, Maria Minuesa, Alexandra Schwartz, Isabelle Stone and Leo Van Munching are all featured in the Katonah Museum of Art’s Young Artists 2018 Exhibition.